Can money really buy you happiness? Authors of the new book Happy Money, written by authors Elizabeth Dunn and Michael Norton think so – if you spend it correctly that is. When it comes to spending your money you wouldn’t think twice about taking advice from your banker or accountant offering institutionalized solutions on investing but have you ever thought of turning to science for your economic answers? New scientific research shows that you may be happier spending your money on less traditional methods. Happy Money explains the science of spending by outlining five key principles that can give you more happiness bang for your buck. The book details the importance of choosing experiences over stuff and even spending money on others rather than yourself. Happy Money was written not only for individuals looking to improve their financial security but also for companies seeking to provide a happier work environment and provide “happier products”. Dunn and Norton show how industry leaders such as Pepsi and Google have already started to implement the ideas in their book. Throughout the book, Dunn and Norton explain incredible research in the behavioral physiology of the average consumer . For example, did you know that watching commercials can actually create more enjoyment from watching television than without? Or that driving fancy luxury cars often provides no more additional pleasure than economy models? Pick up your copy today to enjoy these and other interesting tidbits on ways to spend your money better and live a happier lifestyle. Want to know more about happier spending but aren’t quite ready to buy the book yet? Author of Happy Money, Elizabeth Dunn, recommends New Paths to Purpose – a site describing how there is no greater resource for human achievement than the sense of purpose. The site covers Chicago’s Center for Decision Research study on purpose in goal pursuit, purpose across ones lifespan, purpose and wealth, practical tools for purpose, purpose and prosocial behavior as well as purpose and well-being. 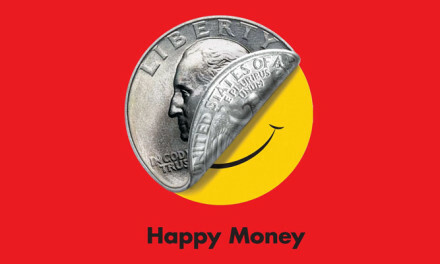 Save 16% on the paperback version of Happy Money! Digital downloads also available.